Daphne and her husband Charles are in their 80s and they have been helping the local community through volunteering for over 20 years. Both Daphne and Charles joined Help & Care in 2007, after meeting us at an event at the Royal Bournemouth Hospital. Throughout their lives, they have carried out different roles at Help & Care, including driving people with mobility problems to essential appointments or visiting older and isolated people at home. When Charles suffered a heart attack eight years ago, they decided that going out and about was not safe anymore and joined the Telephone Befriending Support Scheme. In their current role, Daphne and Charles come to Help & Care's office in Pokesdown every two weeks, to call isolated, lonely, and sometimes housebound people. 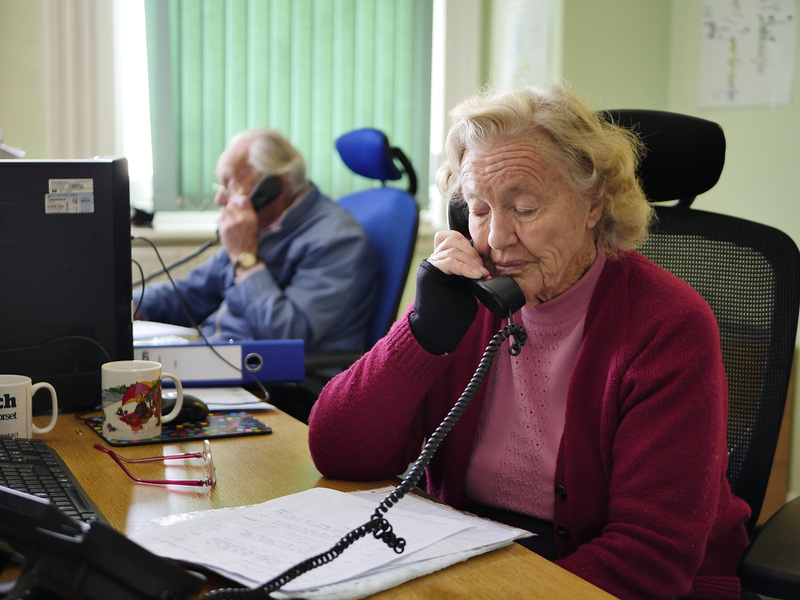 As a couple, they are very endearing in nature and have been extremely committed to their role as Telephone Support Volunteers - they even came into the office one Christmas Eve to ring those being befriended!